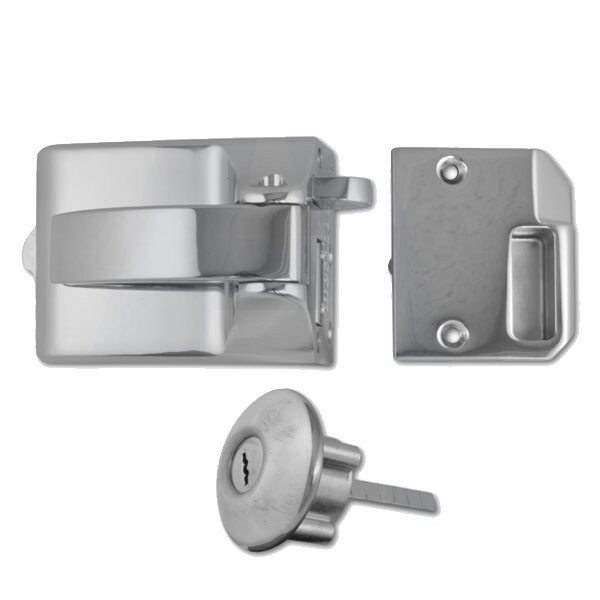 Ingersoll cylinder deadbolts combine 10 lever security with exceptional style. The deadbolt is automatically thrown when door closes and withdrawn by pull lever inside or key outside. Handle is locked by extra turn of the key from the outside. Bolt can be held back by turn snib on side of case.